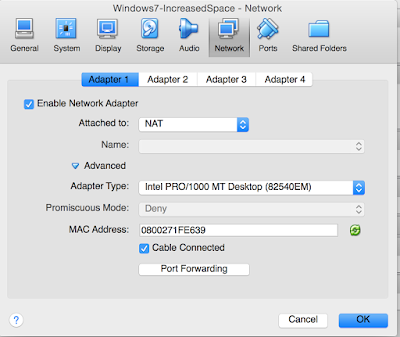 By default when we configure Virtual box VM for Mac we are getting networking with NAT. The configuration looks like bellow. 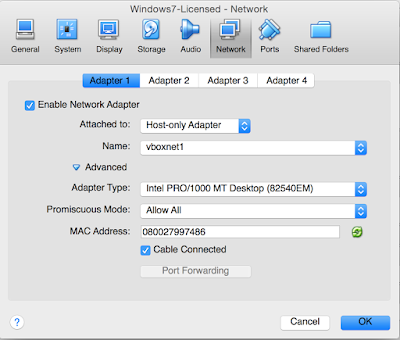 But with that i could not PING from my Mac to the Windows VM or vice-versa. As usual i changed the connection to Bridge mode but no success. Then contacted my Networking friend "Dhanushka Ranasinge" and with his guide i could get it done. 1. 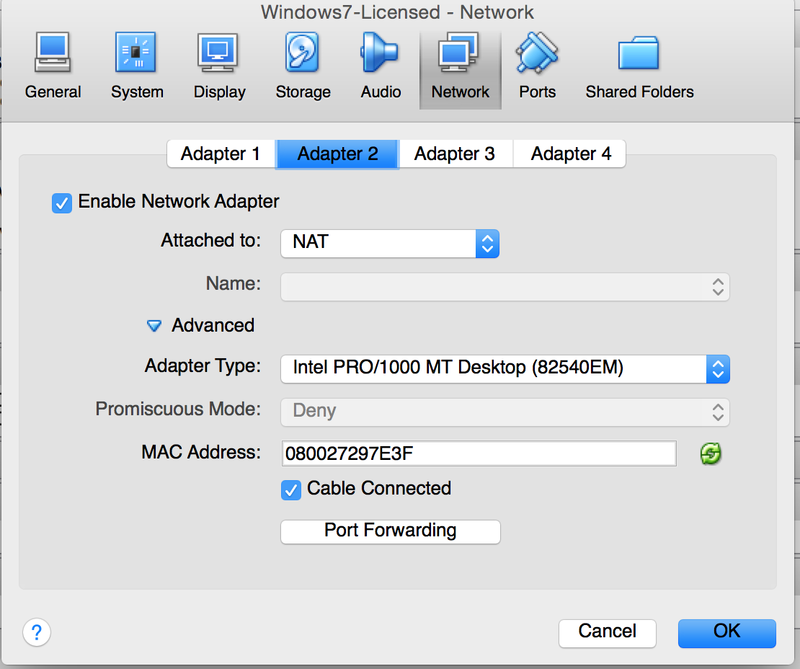 Change the network interface to "Host-Only Adapter" as in the bellow image. 2. 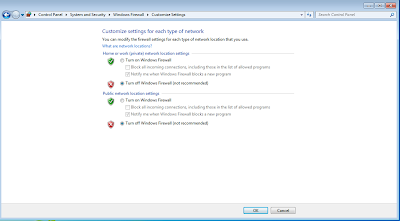 Then start the VM and disable to windows firewall. 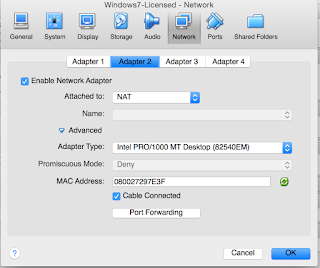 Now you are in a STATE that you can PING from your MAC to WINDOWS. Now we need to set up internet for the VM. 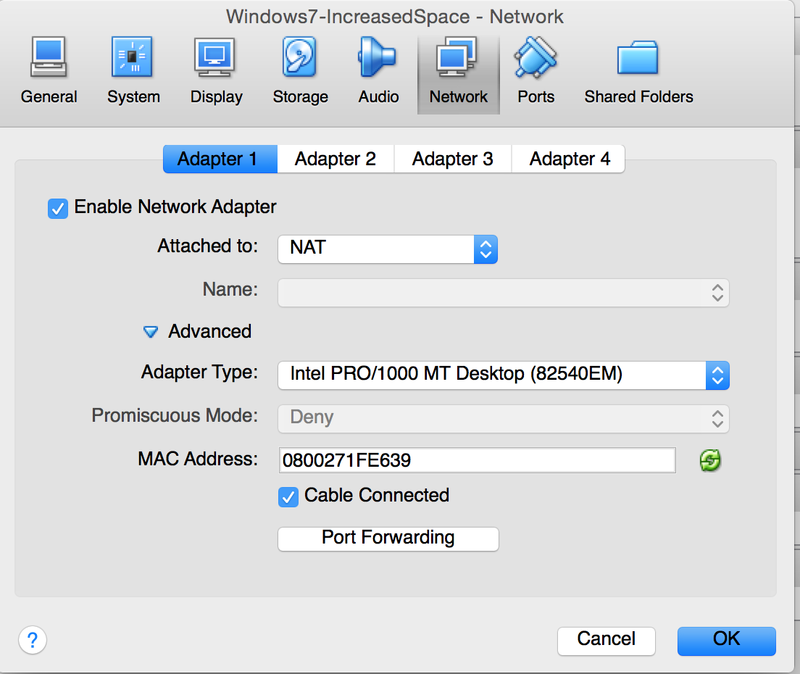 With this NAT interface , it will connect your VM to internet. Now it is all done. 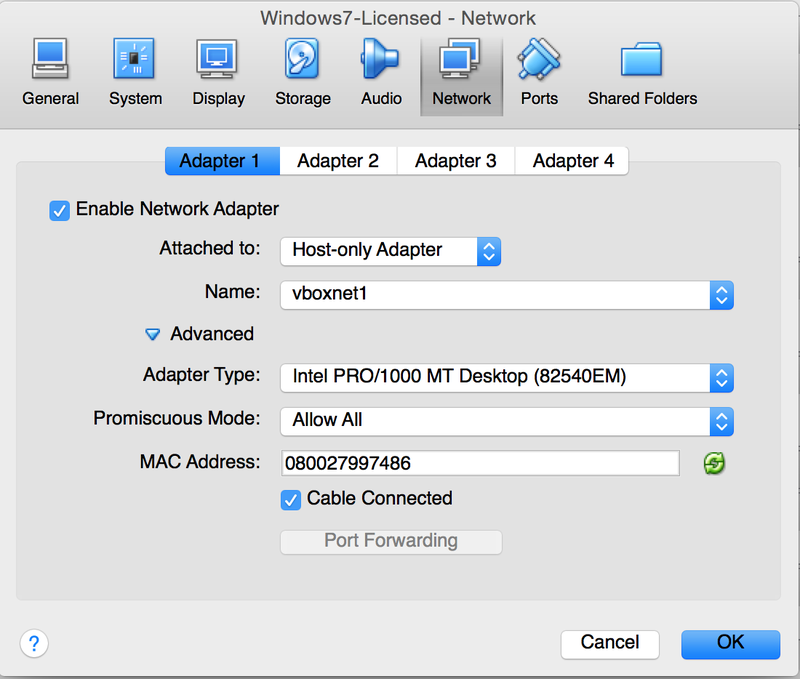 Start your VM and you should be able to connect to INTERNET and you should be able to PING from MAC to WINDOWS and vice-versa.